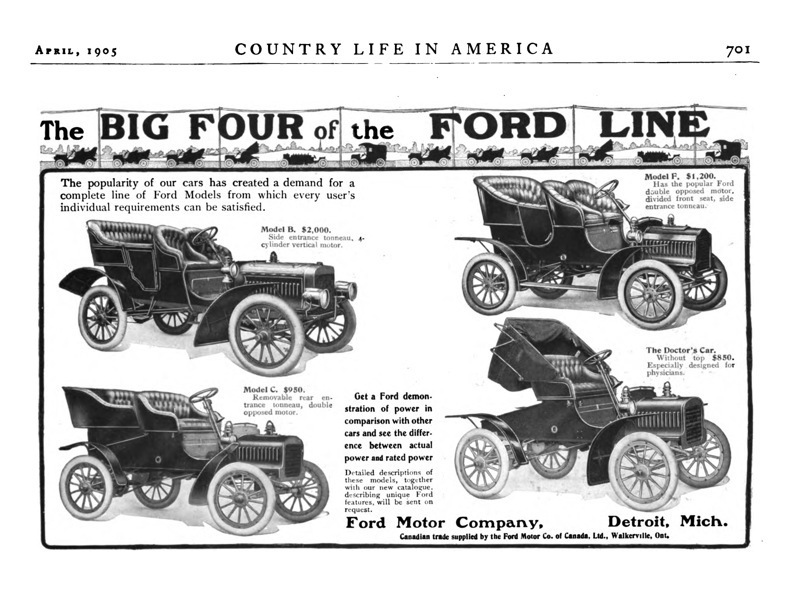 And we know Ford will move to number one by the end of 1907. With well over two hundred car makers at the time, I think these are extraordinary numbers. Evidently the leaders at Ford were doing something right. 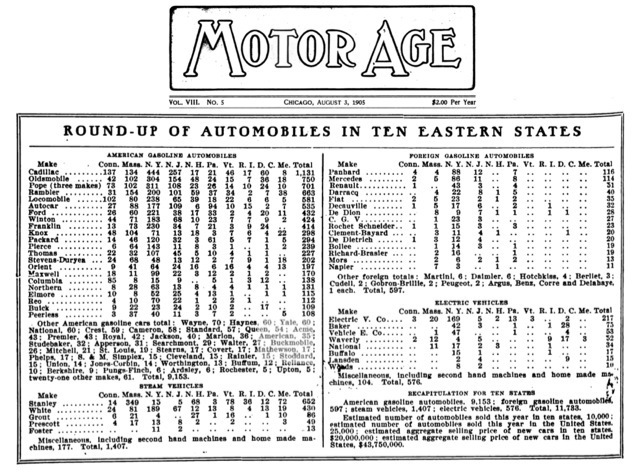 So Rob, With over two hundred auto makers out there and Ford making it to the top at the end of 1907 it shows that the K was a car in demand. Not the slug the wife,s tales make it out to be. 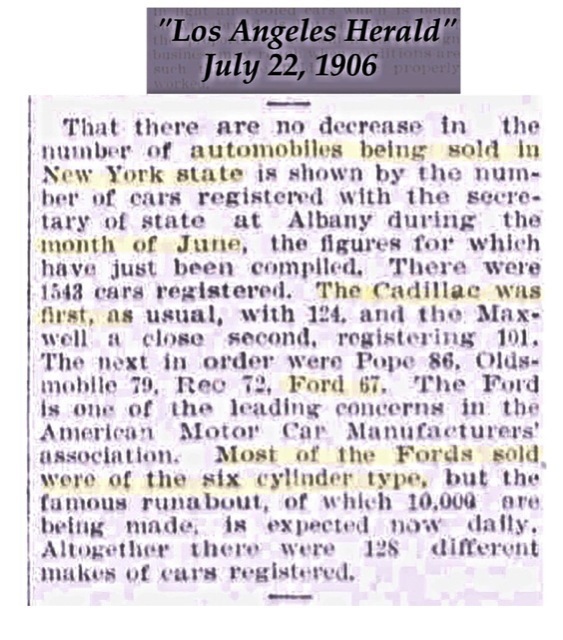 Ford passed Cadillac who was on top in 1905 shows that the K must have been a car money people wanted. 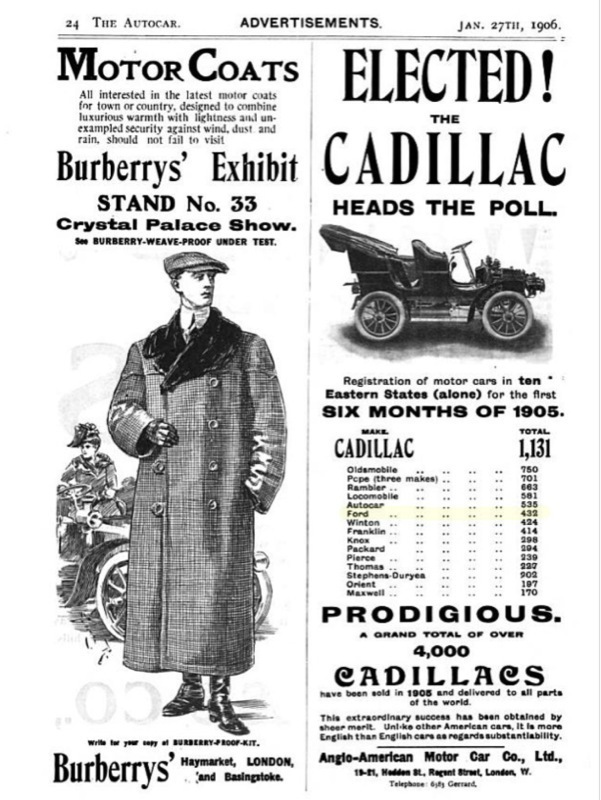 I see they are advertising a 'Doctor's Car' already in 1905. Not a coupe, but still direct advertising. It would be neat if next year at the OCF someone took it upon themselves to line up one of each of the cars in a row so the visitor could see the progression from the Model A to the Model T. I might find a way to drive over then just to see it. While it no doubt can be accomplished again, as recently as 2013 a complete collection of Ford letter series cars was on display at the OCF. As you may suspect, finding a Model B to display is a little more difficult than some of the other cars, but The Henry Ford agreed to display the one they have in their collection. That last clip is interesting. It seems to imply that the K was available well before the N.
I'm happy to see that the simply perfect cars were still in second place in June of '06. I believe that Ford eclipsed them about the time that mine was made. I'll look it up. Yes, the first K were sold in April 1906. Model N weren't available until July 06. 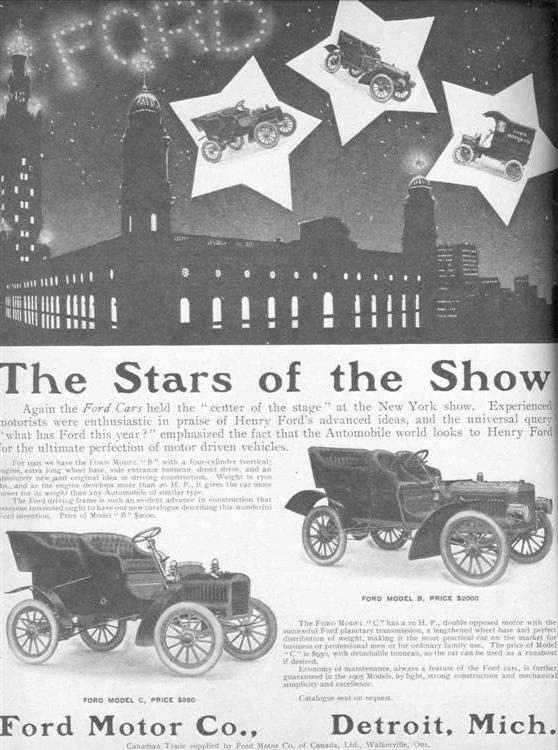 The biggest month for K sales was June 1906 with 101 sold according to the Ford Motor Co. audit. Many car makers were content to sell 100 cars in a year.